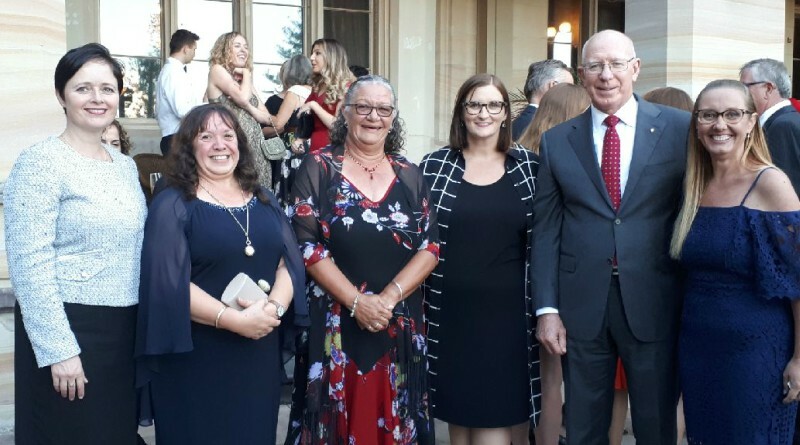 This year’s NSW Aboriginal Woman of the Year Award is Western Sydney Local Health District’s New Street Services Aboriginal Counsellor Julie Shelley (second from left). This year’s NSW Aboriginal Woman of the Year award has been awarded to our very own Julie Shelley, who is an Aboriginal counsellor at Western Sydney Local Health District (WSLHD). The award was announced by NSW Premier Gladys Berejiklian and NSW Minister for Women Tanya Davies at an International Women’s Day breakfast ceremony held at the International Convention Centre, Sydney. Julie was one of three finalists for the award. Julie was nominated for her care, dedication and contributions to the Aboriginal communities of western Sydney. She is a proud Kamilaroi woman who has lived and worked in the Western Sydney Aboriginal community for more than 48 years. Starting out as a volunteer phone counsellor for WestCare in Penrith, Julie has worked in Aboriginal support worker, liaison and counselling roles for many years. Julie continued to work while obtaining her qualifications in Master of Social Work, Bachelor Health Science (Mental Health), Graduate Diploma in Aboriginal Family and Community Counselling and recently completed an Advanced Diploma of Specialist Aboriginal Trauma Counselling. Today, she works at New Street Sydney as Aboriginal counsellor where she has been for more than six years. New Street provides services for children and young people who have engaged in harmful sexual behaviours towards others. Julie has been married for 31 years and has four children and four grandchildren. “I think its awesome and I feel privileged and thankful to be nominated in the first place and honoured to win the award,” Mrs Shelley said. WSLHD chief executive Danny O’Connor congratulated Julie on winning this prestigious award. “I commend Julie for her outstanding achievements and services to the Aboriginal communities of western Sydney,” said Mr O’Connor. Westmead Clinical School and Sydney Medical School clinical lecturer Dr Cathy Zhao was recognised for her contribution to the community and her research in dermatology, especially of metastatic melanoma treatments on the skin. She was a finalist for the Harvey Norman Young Woman of the Year Award.